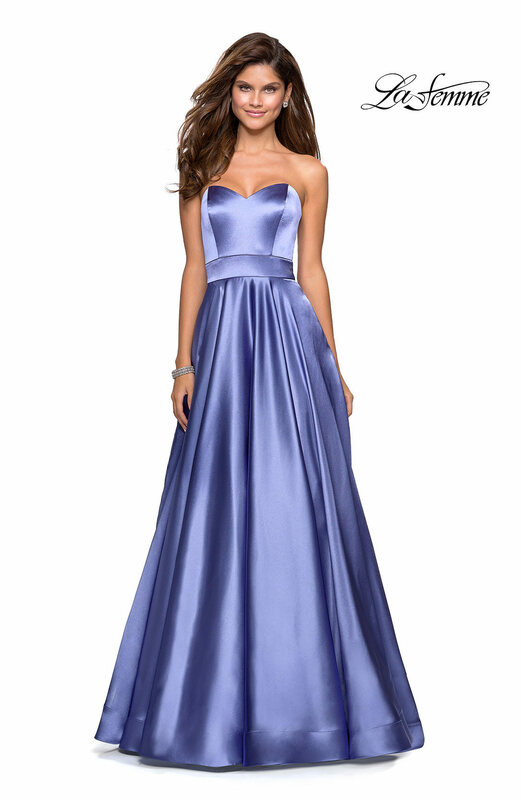 Simple dresses are all the rage right and La Femme 27506 does not disappoint. 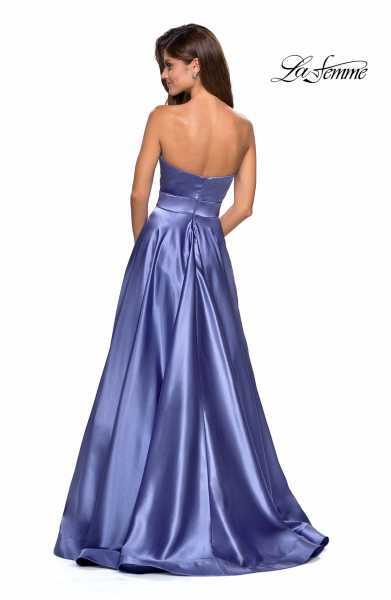 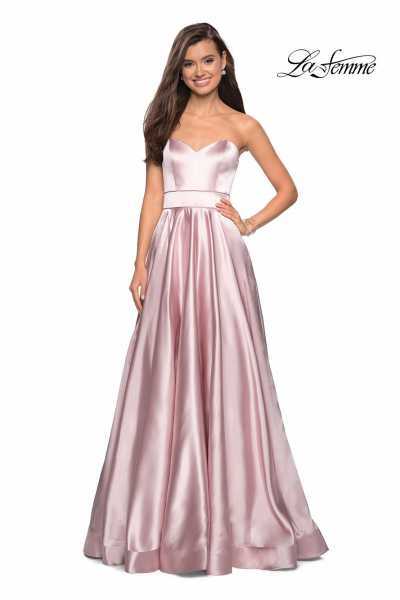 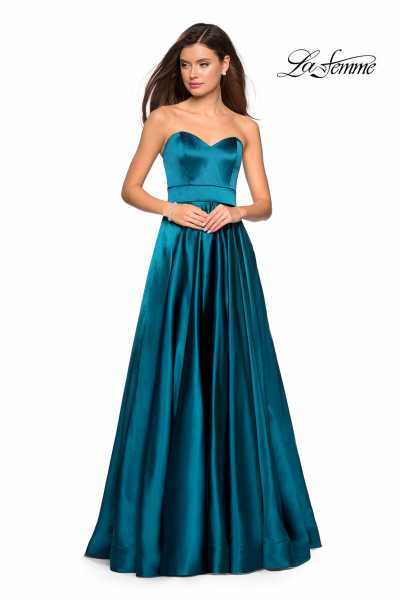 The satin strapless design is an A-line design that is not only perfect in all of the colors it also is great for a lot of different body types. The fabric is seamed at the waist to create a belt like effect right at the waist. 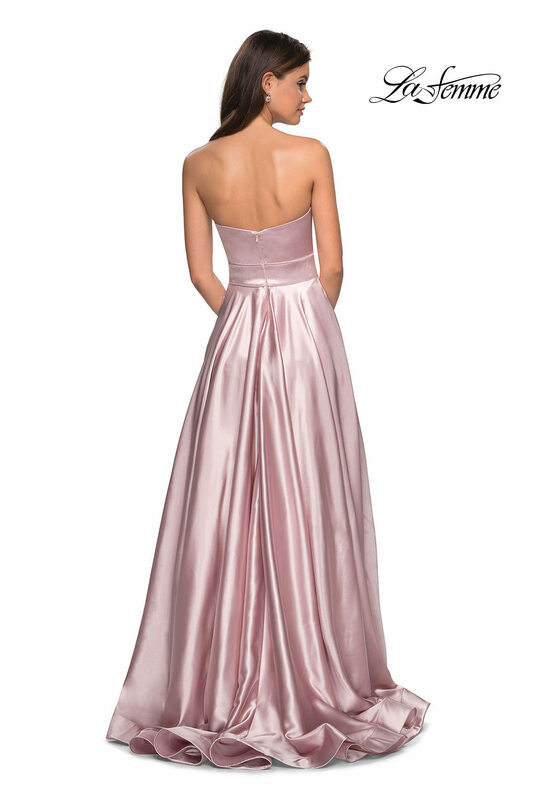 The zipper is in the back.